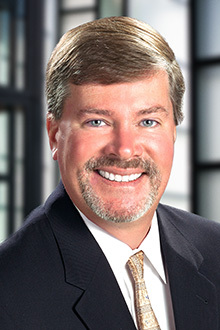 Kevin Vannatta is a partner in the Fort Lauderdale office of Lewis Brisbois and a member of the Professional Liability Practice. Mr. Vannatta is a senior trial attorney who handles matters throughout the state of Florida in both state and federal courts. He focuses his practice on the defense of professional liability claims against hospitals, physicians, lawyers, nurses and ambulatory surgery centers. He also represents a large prison healthcare company in the defense of professional liability claims against its providers. Mr. Vannatta also has extensive general liability litigation experience representing corporations, property owners and construction companies in personal injury, liquor liability, mass tort and defect claims. He continues to defend trucking companies, auto insurers, employers and clergy. He handles clients’ needs from initial investigation through trial and appeal. Mr. Vannatta has successfully prepared and tried multi-million dollar cases in several venues achieving defense verdicts. He provides pro-active solutions to clients aimed at reducing liability, costs and exposure. Medical Malpractice defense verdict for urologist in loss of kidney case. Professional Liability Federal Court defense verdict for insurance carrier denying coverage in legal malpractice case. General Liability defense directed verdict for national retail chain in fall down personal injury case. General Liability defense summary judgment for national self storage chain in fall down personal injury case. General Liability defense summary judgment for national self storage chain in loss of property case. Toxic Tort defense voluntary dismissal for asbestos product manufacturer in wrongful death case. Toxic Tort defense summary judgment for asbestos product distributor in living mesothelioma case. Automobile accident defense verdict for driver in personal injury case of brain damaged minor caused by premature birth.